WASHINGTON (CNN) - The Obama administration turned over 432 pages of e-mail communications and other documents Friday to congressional Republicans investigating the collapse of the solar energy firm Solyndra, the White House said. The hard-copy and electronic documents include e-mail communications from the offices of the president and vice president, the White House said in a letter to Reps. Fred Upton of Michigan and Cliff Stearns of Florida. "These documents, like the over 187,000 pages previously provided by Executive Branch agencies, demonstrate what we have said throughout the course of this investigation: decisions on the Solyndra loan guarantee were made on the merits by the Department of Energy," wrote Kathryn H. Ruemmler and Cynthia C. Hogan, counsels to the president and vice president, respectively. "None of the documents support the committee's allegations about favoritism to campaign contributors or improper White House involvement in the decision-making process," the counsels wrote. 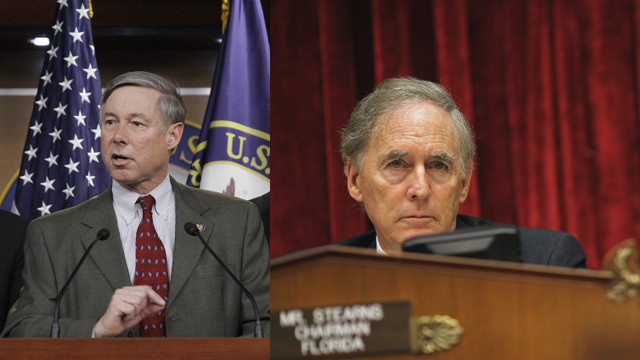 The House Energy and Commerce Committee, chaired by Upton, and its investigating subcommittee, chaired by Stearns, are investigating the failure of Solyndra, which received an Energy Department loan in 2010. Solyndra used the loan to build a factory in Fremont, California, that produced state-of-the-art solar panels. President Barack Obama touted the company in a widely publicized visit after the loan guarantee came through. But Solyndra filed for bankruptcy in August and closed its doors, putting more than 1,000 people out of work, after it received $535 million in loan guarantees. The bankruptcy leaves the federal government unlikely to get the loan money back. The House panel is looking into whether a key Solyndra investor and Obama fundraiser, George Kaiser, received preferential treatment in the loan guarantees approved by the Department of Energy. So this is how CNN reports things? The Obummer admin is up to their ears in this. The days of blaming Bush are over. No wonder its at the bottom of the ratings list. George Kaiser laughed all the way to bank, on our money. I am wondering when they will get a Solar Powered Fence Jack that will save the US Hospitals from Illegals hurting their backs to get into the country! They are smuggling Skittles and Drugs and Terrorists into the USA! Might want to see how the Skittles got into this country! Now, I am not sure if the guys carrying the Skittles were going into Texas or going into Mexico. We do not have any way to determine the directions these guys were going! Was it North or South???? Has the White House now turned over ALL of the pages ??? I sincerely doubt it. Check for the missing pages ... you know, the incriminating ones. If the decision on Solyndra were based on merit than we have even a bigger problem than fraud or graft. Either way this administration looks inept, incompetent and not very business minded. In a odd way it would be better that this turns our to be a fraudulent case because if this is the government standard than God help us all. They certainly were inept on this one whether they broke the law or not with preferential treatment. Oversight of these things really is lacking in the goverment. Reminds you of the lack of oversight on the banking and housing industry. No smoking gun here. Nearly 500,000 documents handed over and NOT ONE improper action. I would love to see those Bush/Cheney emails leading up to the Gulf War oh, they still haven't been released and the outcome has been catastrophic: trillions wasted and thousands of American lives lost. The gaul of Republicans is amazing. BTW, in between the fake outrage over Solyndra, I wonder if this congress can pass a jobs bill. Only idiots dont understand that their is a risk to every business and some will fail.If you want to blame anyone blame china,they undercut the industry taking a loss just to put our workers out of work.China has done this many times in the past and will continue in the future.You cant blame someone for trying to promote an industry or jobs,not every company will make it and unfortunately unless we stop china this will happen in almost every manufacturing industry. 1990 NEWS FLASH: China has a REALLY BIG manufactoring base. 2000 NEWS FLASH: Massive new production plants in America are a waste of money. I wonder which one Obama missed...? Hello my loved one! I wish to say that this post is awesome, nice written and include approximately all important infos. I'd like to peer more posts like this . Hey there, You've done an excellent job. I'll definitely digg it and personally recommend to my friends. I am sure they'll be benefited from this web site.